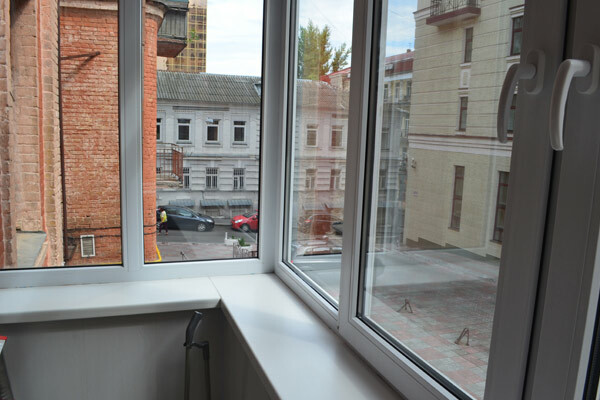 Studio apartment near Maidan , Mykhailivsky lane 20. 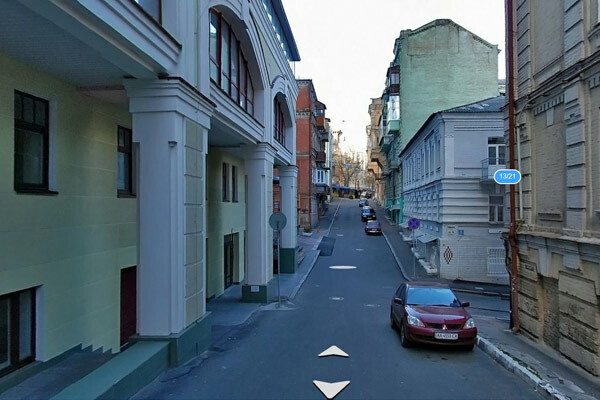 20 Mykhailivsky lane is located about 100 meters from Maidan Square in a very quiet place on the corner of Mykhailivsky lane and Shevchenko lane. These streets are intended mostly for pedestrians. Nearest Metro station is "Independence Square", "Khreshchatyk" and "Zoloti Vorota" - all three lines of Kiev Metro are nearby. There are supermarkets on Maidan (under ground) and several groceries on ajascent streets. Also you will find a lot of pubs and restaurants here. 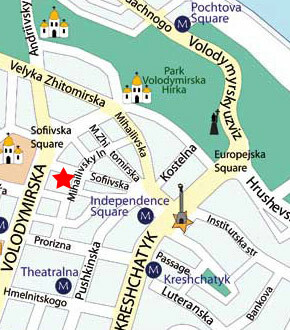 Maidan McDonald's (local landmark and meeting point) is just in 2 minutes walking. All tourist attractions of Kiev are very close: St Sophia Cathedral, Andriivskyi Descent and Mykhailivsky Monastery. Car parking is possible on the street near the building. 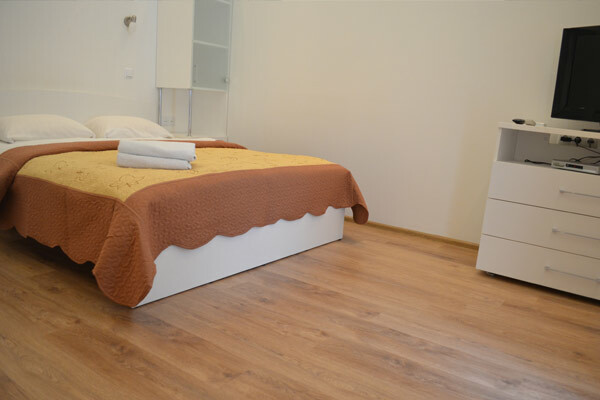 This apartment consists of one spacious room, separate kitchen, bathroom and small corridor. Also it has a glass balcony. It is located on the second floor of historical building with secure entrance. 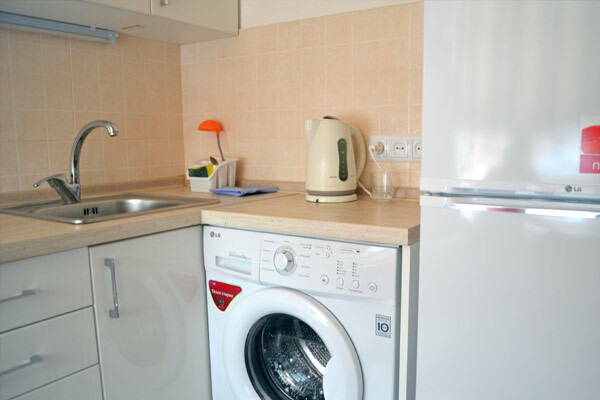 A total refurbishment was conducted recently here, so the flat is fresh, new and modern. Floor is covered with laminate, kitchen and bathroom floors - with ceramic tiles. There are a big double-bed and transforming sofa for sleeping, totally suits for 4 people but we recommend this apartment no more than for 2 guests. 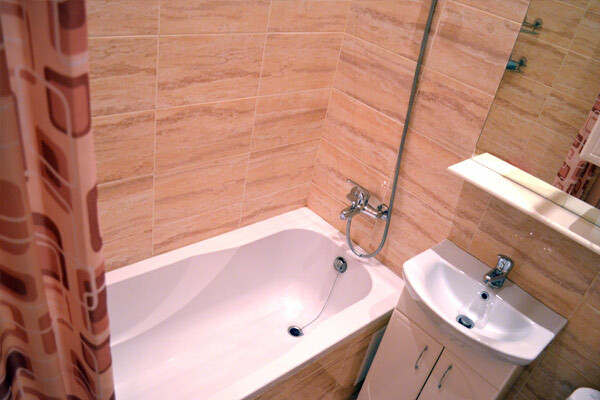 Bathroom has a long bath and a shower, kitchen is fully equipped for cooking (microwave, gas stove, fridge and all necessary kitchenware are present). Also it has a washing machine and dining table with chairs. This apartment is equipped with air conditioning, LCD TV set with more than 200 channels on different languages and of course broadband internet with WiFi. Distinctive feature of this apartment is a combination of new renovation, stylish furniture and tranquil neighbourhood.